Tri-State has been dealing its brand of guitar-based rock’n’roll since 2010. Started as a way for a handful of ex-indie rockers (Dunebuggy, Mohair, Spindale, The Conquistadors, Clean Living Pills) to blow off some midlife steam, over the past five years the band’s engaging take on the indie and alternative rock of the 1980s and 1990s has garnered a growing following in northern New Jersey and beyond. Combining pop hooks, vocal harmonies, driving beats, and intricate, intertwined guitars with intelligent lyrics addressing everything from the aftermath of maritime disaster to Detroit hipsters to the travails of parenthood, Tri-State’s music has been compared to Pavement, Guided by Voices, Built to Spill, Television, the Feelies, Dinosaur Jr., Eleventh Dream Day, Wilco, and early REM. Ti-State’s eponymous debut EP was named a top New Jersey release of 2013 by Jersey Beat’s Jim Testa and Lazlo’s Blow Up Radio. Testa called it “a terrific record that neatly draws inspiration from Nineties alterna-rock without sounding dated or derivative…The guitars rumble and roar, the drumming always keeps things moving forward, and the vocals and lyrics bring a perspective you just don’t find in younger bands. Well worth checking out.” Independent Clauses noted the EP’s “complex lyrical turns and less obvious arrangement,” “unhurried, ‘let’s give this some space’ method,” and“mature songwriting that appreciates with multiple listens.” Cool Dad Music called the EP “uplifting” and celebrated its “indie / power pop feel,” “interesting rhythms, and “guitars, alternating between jangly leads and crunchy chords.” That EP led to the band’s signing with Mint 400 Records in 2014, and the recording of two songs for Mint 400 compilations, both of which received internet and college radio attention. In early 2015, Tri-State began recording new material for a series of singles to be released on Mint 400 through 2015 and beyond, The material was mostly engineered by the band in their rehearsal space, located in a redeveloped bakery in Orange, NJ. Scott Anthony (The Feelies, Beastie Boys, Henry Rollins, Bush Tetras, Lloyd Cole, Soul Coughing, Frank Bango) mixed and mastered “New Minuits” (and its b-side, “Titanic Bros.”) at Storybook Sound in Maplewood NJ; Tom Lucas also helped record and arrange vocals for the songs at Laughing Boy Studios in South Orange, NJ. 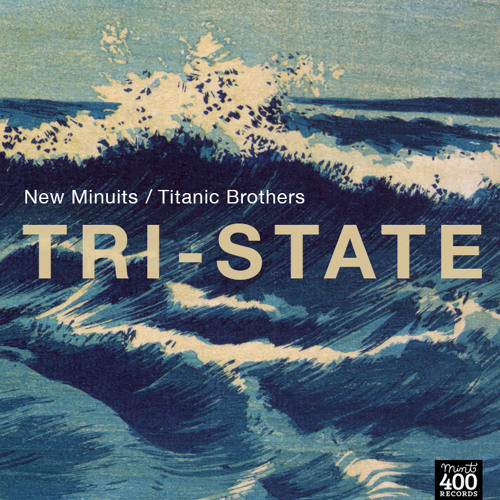 “New Minuits” and “Titanic Bros.” are the first products of that process, and display Tri-State’s developing songwriting, recording sophistication, lyrical voice, and vocal and guitar arrangements.